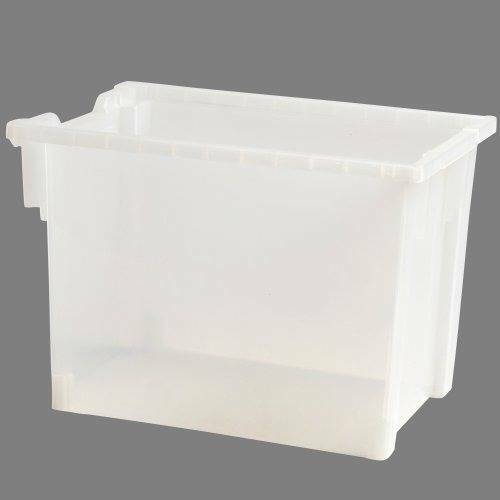 Measures 12 ¼” W. x 12” H. x 17” D.
Perfect for classroom storage solutions! Made of clear, rigid plastic, this sturdy tote is made to slide into the tracks of the exclusive Creative Arts Cart and Math and Construction Cart. Measures 12 ¼” W. x 12” H. x 17” D.